Annette is an Emergency Department nurse with several years experience. She received her Bachelor’s in Nursing from United Methodist University. Annette was inspired to develop her initiative by her parents, both of whom have high blood pressure. 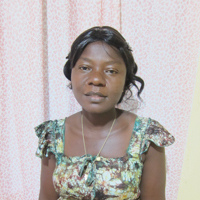 Annette works in the VOA community of Monrovia providing community-based treatment for high blood pressure, also known as hypertension, and diabetes. She completes home visits for hypertensive and diabetic patients to assess their medication adherence, glycemic control, and blood pressure.